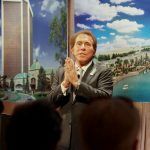 Steve Wynn — the man who once reinvented Las Vegas — has now reinvented himself: as an art dealer. 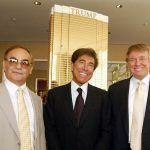 According to artnet.com, fallen casino mogul Steve Wynn, 76, has launched a company called Sierra Fine Art LLC, which will hawk multimillion-dollar artworks, including Picassos, Matisses, and Warhols. Its website, sierrafineartllc.com, was built on March 21, six weeks after Wynn resigned as chairman and CEO of Wynn Resorts in the wake of multiple allegations against him of sexual misconduct and assault, and the day before he sold his majority stake in the company for $2.1 billion. 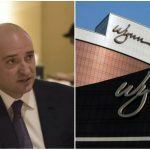 Wynn’s longtime lawyer, Michael Kosnitzky — while reasserting Wynn’s denial of all allegations against him — confirmed his client’s career change, explaining that the former magnate wasn’t ready to just disappear into the woodwork. Wynn is a longtime collector of fine art who has, in the past, exhibited pieces of his collection at his casinos, but can he cut it as a dealer? Artnet notes he has taken an unorthodox route by launching a website showcasing the works on sale. “While many dealers are loath to reveal their top inventory publicly for fear of ‘burning’ the work [art-market parlance for overexposing it and therefore damaging its prospects for sale], he has posted digital images of his pricey holdings directly on the company’s new website,” wrote artnet’s Julia Halperin. She also questions why a company which, in Kosnitzky‘s words, will deal only with the “highest end of the market” and the “most sophisticated” buyers, should feel the need to pimp its wares to the masses via a website. Let’s just say, there’s no “add to cart” option. Wynn’s new venture got off to a bad start when the auction of one of his Picassos, scheduled for Tuesday, was pulled after a paint roller attached to an extension pole reportedly fell onto the canvas and punctured it as it awaited sale at Christie’s high-end auction house. This was Picasso’s 1943 self-portrait Le Marin, the most expensive of three paintings Wynn planned to auction at a $70 million valuation this week. While the painting was technically being sold by an “unnamed client,” news site Bloomberg identified Wynn as the Christie’s seller. Another Picasso, Femme au chat assise dans un fauteuil (1964), was also pulled because it was covered by the same third-party insurance policy. Kosnitzky told artnet that Sierra and Christie’s are currently arguing over the extent of the damage and the cost of the painting. Wynn — who is known to have extreme vision issues — famously put his own right elbow through Picasso’s Le Rêve in 2006, as he was showing it off to friends in his office and just before he was about to sell it for $139 million. At the time, it would have been the highest price ever paid for a painting. 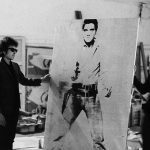 The third painting from the Wynn collection — Andy Warhol’s Double Elvis (1963) — was sold as scheduled on Thursday night, fetching $37 million. For a man with a reported $3 billion bankroll, the new business may be more about keeping him busy than building profits, but that’s not a bad start.